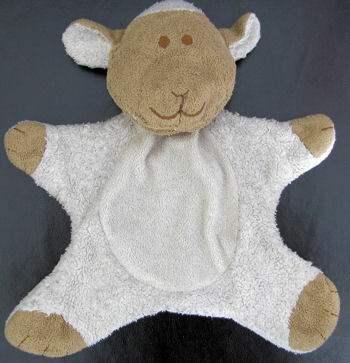 I am looking for a lamb made by Blankets and Beyond. It was made in Canada. We are looking for the lamb, or sheep, only. It doesn’t have to be with the blanket. It has a brown face and hooves, with a white woolly body. Our daughter calls it BeBe. It is her security at bedtime and nap times. She still looks for BeBe when it is time to go to sleep. The one she has now has been sewn many times and is falling apart. We lost our lamb yesterday while Christmas shopping. We got the lamb when my now 5 year old daughter was born, but she never cared for it. My son who is 15 months old is obsessed and I have spent hours searching the internet. My mother in law ran across this today. The crazy thing is he calls it Be-Be, too.. We honestly didn’t believe it… Did you ever find it? We are desperate!! !